Try saying that brand name after a few sherries. No actually, don’t. 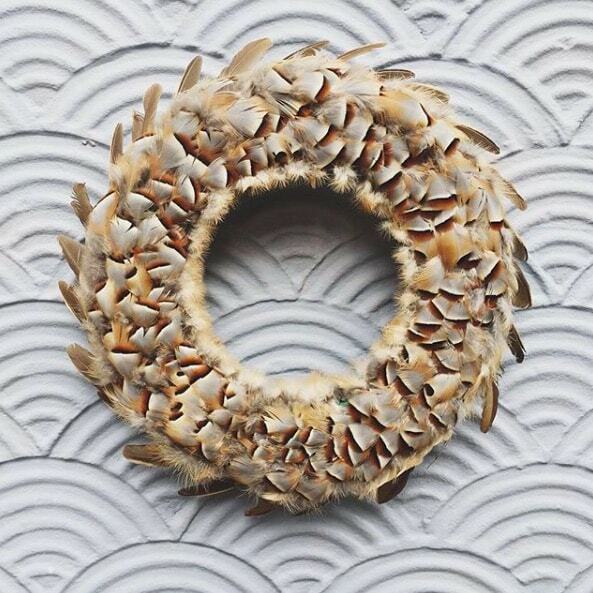 Instead take a look at these quirky, game bird feather door wreaths, created by Cambridge-based Venetia Phipps and featured in Town & Country and various interior design magazines, no less. 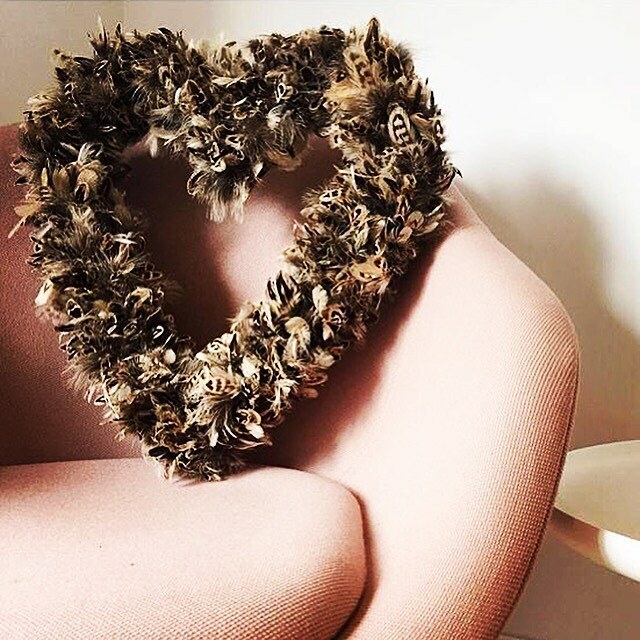 Venetia also whizzes up table centrepieces, lampshades, storm lanterns, mirror frames and all manner of bespoke commissions, from window displays to fashion shoot props to wedding decorations, using pheasant, French partridge, duck and grouse feathers. 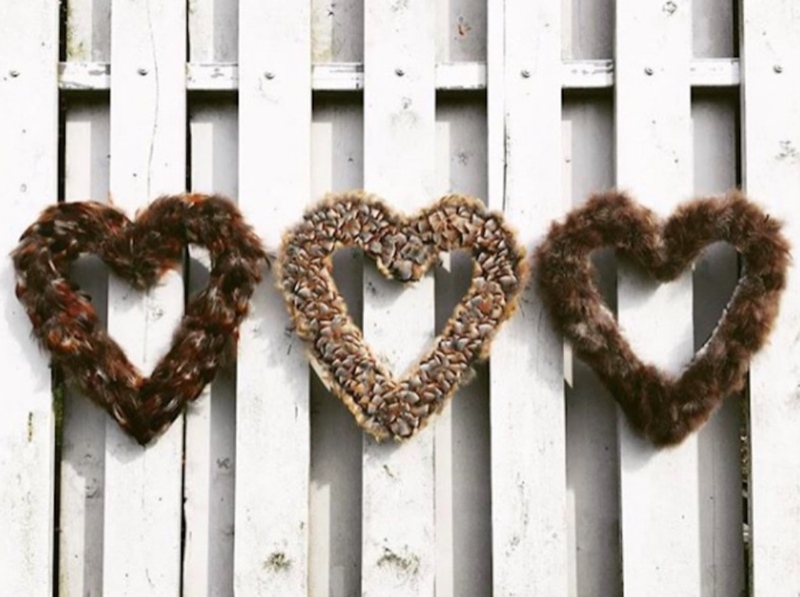 What started as a personal craft project has blossomed into a burgeoning country life style business, after people spotted her designs on social media, and orders began to flood in. 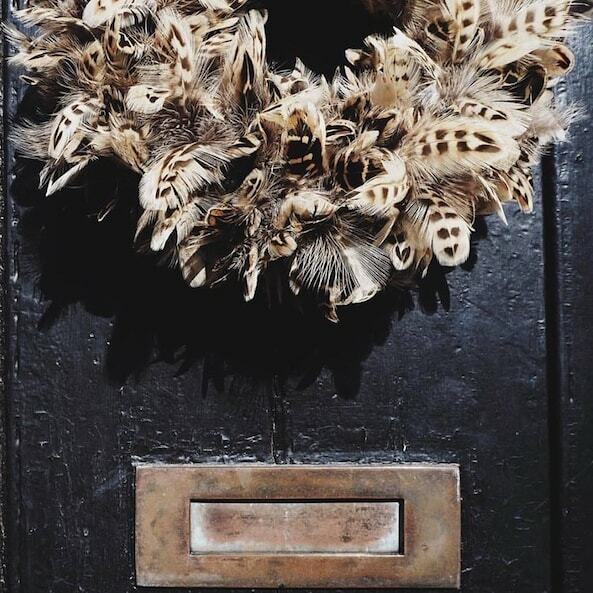 So if you’re a bit bored of decking your door with boughs of holly during the festive season, here’s a pleasingly English eccentric alternative.